MyDrive Connect is an official TomTom program which provides USB connectivity and updates between your PC and GPS program. Although TomTom MyDrive Connect is not compatible with all GPS devices, it should be indicated on the box or inside the instruction manual of your device. The application itself can be quite helpful in that it allows you to download and update maps for your GPS and it will also help you remove outdated maps that should be replaced, thus saving you space and allowing you to copy those large maps to your device memory. 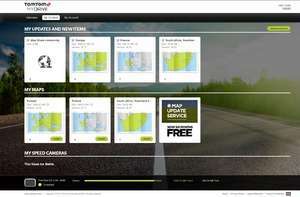 It is unfortunate to note that TomTom does not offer free maps generally and thus this program can be used to purchase updated data for your device for a rather hefty pricetag. Version 4.0.7.2442 is a freeware program which does not have restrictions and it's free so it doesn't cost anything. For security reasons, you should also check out the MyDrive Connect download at LO4D.com which includes virus and malware tests. Additional screenshots of this application download may be available, too. MyDrive Connect download been highly rated by our users.